Washing dishes can be therapeutic at times. For me, it's a way to get something done while getting away from a couple of screaming toddlers. When it comes to drying the dishes, a good dish rack is essential. 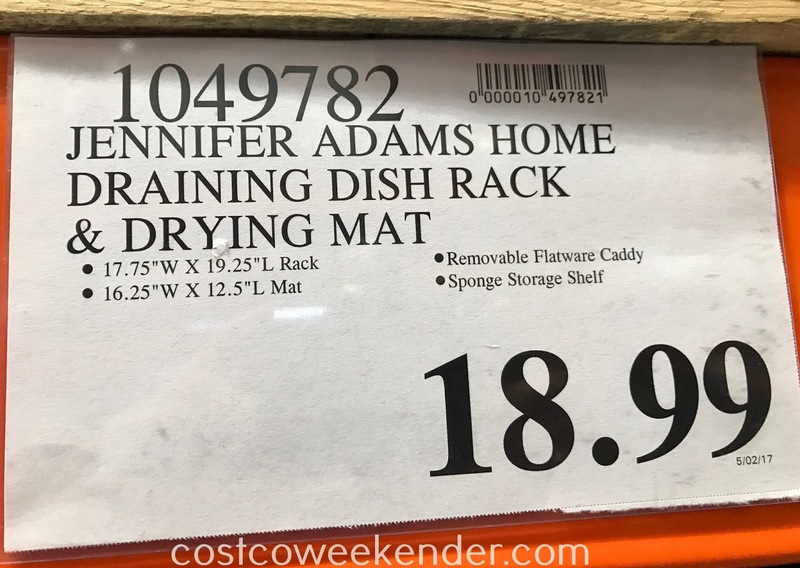 The bottom of a dish rack can get discolored after years of use...pretty gross actually. 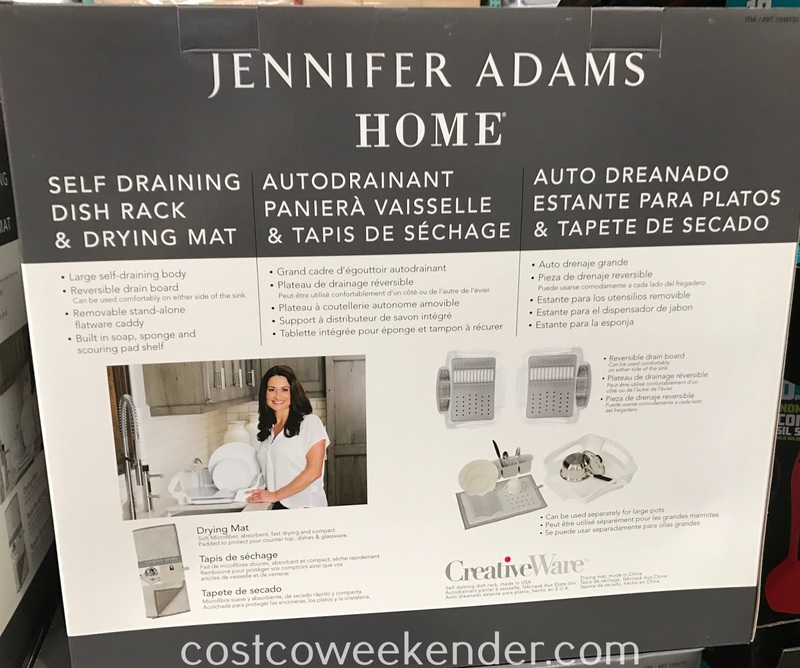 Thankfully, the Jennifer Adams Home Dish Rack is self-draining to reduce the chances of stale water just collecting at the bottom. My favorite part about the Jennifer Adams Home Self Draining Dish Rack & Drying Mat is the built-in soap, sponge, and scouring pad shelf. We had to buy a separate rack for our soap and sponge but that takes up additional space on your counter or sink. The rack provides a good place to place your used utensils, pots, pans, and plates to dry. Another thing that makes this rack so versatile is that the flatware caddy can be separated from the drain board which can then be used for larger pots and pans. 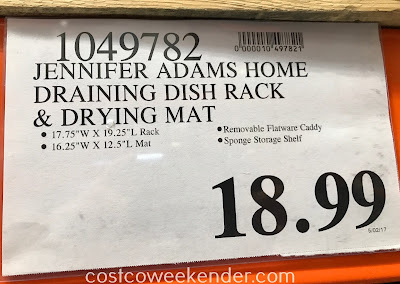 No more trying to balance that big pot on top of dishes that are already drying on the rack. So stop using your dishwasher to hold clean dishes. 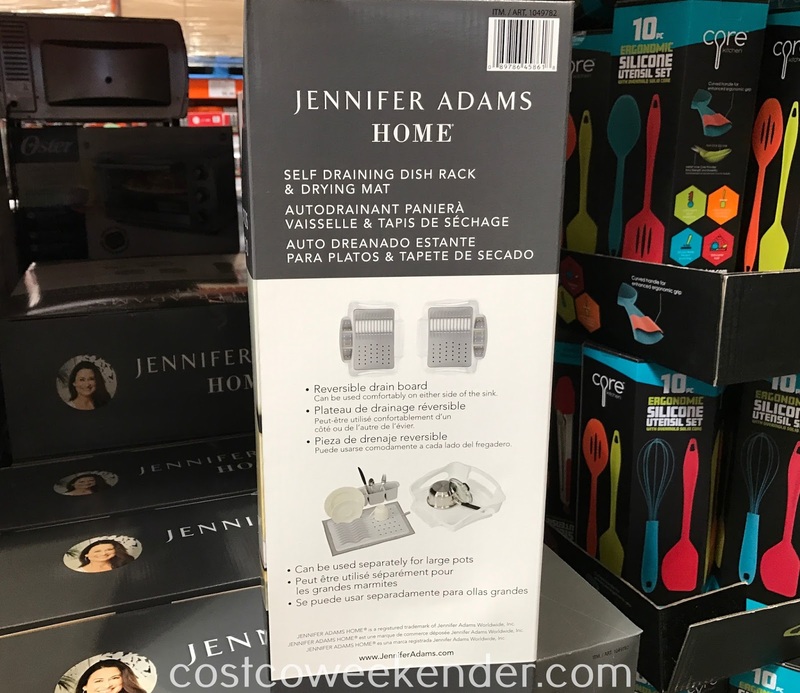 Check out the Jennifer Adams Home Self Draining Dish Rack & Drying Mat.